Wedding Cars Yarra Valley – Lucy & Anthony tie the knot! 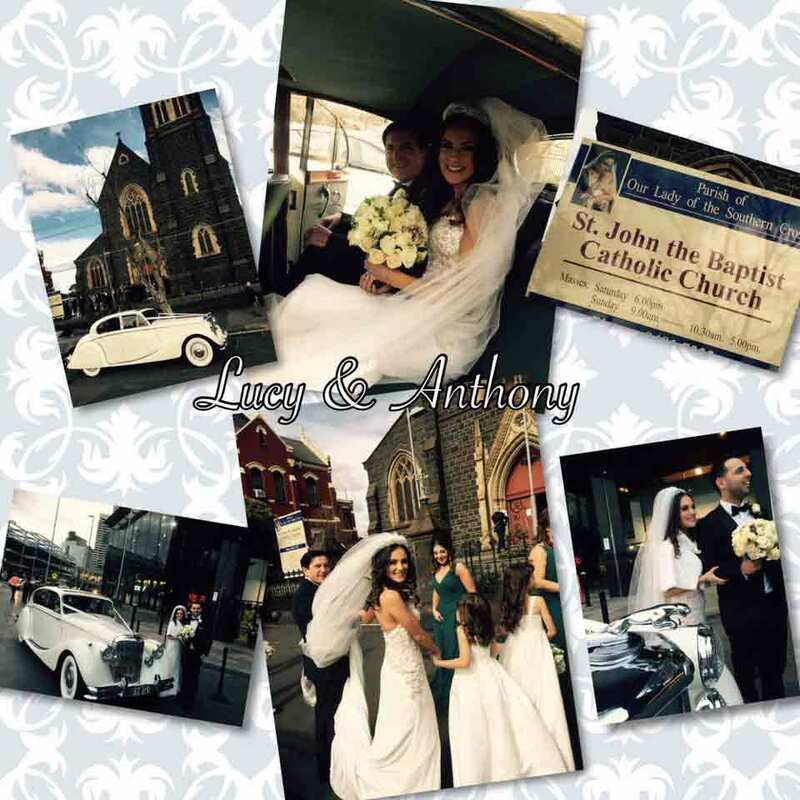 Wedding Cars Yarra Valley – A huge congratulations go out to Lucy & Anthony who were married over the weekend at the beautiful St John the Baptist Catholic Church followed by a reception at Aerial South Wharf. That a gorgeous couple these two make! JC Jags would like to wish you both all the very best as husband & wife & we would like to thank you for choosing JC Jags for your transportation on your special day. With it’s elegant flowing body lines coupled with its classically upholstered interior, the Jaguar MK5 is an irresistible choice for many couples on their special day. The Jaguar Mk-V sedans are a four-passenger vehicle. They Jaguar Mk5 sedans have deep seats to accommodate four passengers with comfort and plenty of leg room to fit the largest bridal gowns with ease. Including chauffeured transfer from your designated starting point to the ceremony and then onto your reception. If you need a wedding car for your special day, be sure to consider JC Jags for your wedding car hire – Wedding Cars Yarra Valley. We will most definitely make your special day that little bit more special with our elite choice of wedding cars. Get in touch with us to find out more about our cars and services.